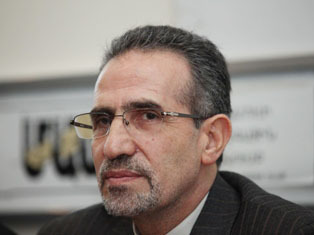 Lately the Iranian ambassador to Armenia, Mohammad Reis, at a press conference in Yerevan, has stressed that the lifting of sanctions against Iran will positively affect the development of relations with Armenia, as there are a number of unrealized joint projects, including the construction of the hydroelectric power station on the Araks River and North-South transport corridor. According to Mohammad Reis, in August is expected the visit of the Vice-president of Iran to Armenia, in the scopes of which will be discussed the implementation of joint projects: in particular, the construction of the third high-voltage electric transmission line between Armenia and Iran. 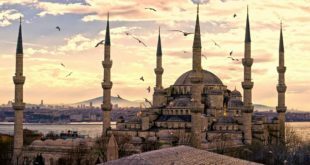 Reis has also noted that the project needs quite serious investments, recalling that the financial capacity of Iran is frozen, and some time is needed to ensure that these funds have been completely thawed. The construction of the Iran-Armenia railway is also an expensive project (about US $ 3.2 billion), according to Reis, and needs a serious investor, not identified yet. According to the ambassador, Armenia is the best corridor connecting the Persian Gulf to the Black Sea. He has stressed that the lifting of sanctions after the agreement with the «six-country group» will help to ensure that Iran will be able to further develop relations with its prioritized neighbors. 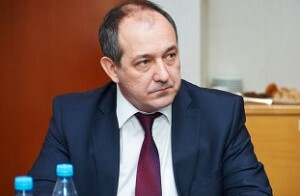 Vladimir Yevseyev, Director of the Center for Civil and Political Researches, in his interview to RUSARMINFO, has expressed the opinion that we should not expect a breakthrough in the Armenian-Iranian economic cooperation, as it is too early even to talk about the suspension of sanctions against Iran. In addition, the Iranian Republic has limited financial resources. «With favorable developments, the suspension of sanctions against Iran will actually take place only in 2016. To this end, the U.S. Congress must say «yes» to U.S. President Obama, and the Iranian Majlis — to President Rouhani. In addition, for the abolition of EU sanctions is needed the IAEA Director General’s report on the closure of the Iranian nuclear dossier that, in my opinion, is impossible,» says Yevseyev. The assessment of the potential of the Armenian-Iranian economic cooperation Yevseyev also considers as exaggerated. «I do not see the possibility of enhancing economic cooperation with Armenia. Currently Iran faces other problems. I understand the desire of the Armenian side for closer cooperation with Iran, but it is difficult to implement. Now there’s a certain period of uncertainty, and I would not like to assure the Armenian side to the fact that this situation will have a positive impact on the Armenian-Iranian relations,» assumes the expert. Recall that in mid-July Tehran and representatives of the «six-country group» successfully completed the work on the agreement on the Iranian nuclear program. In exchange for the lifting of sanctions, Tehran has agreed to severely limit research in this area, and gave up trying to build or acquire nuclear weapons. This agreement has become the occasion of heated discussions in Armenia over the possibilities of deepening the economic cooperation with Iran.